Many projects require the use of visual barrier fences for safety or for separation of various areas. It is used at times to keep people out of natural habitats or protected environment zones. Foster Supply also provide a green product with lettering denoting the type of environment being protected. 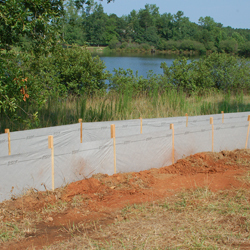 Safety fence is also used frequently as protection for existing trees.